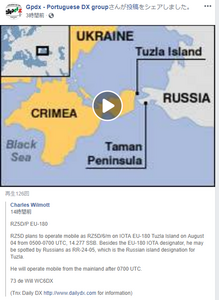 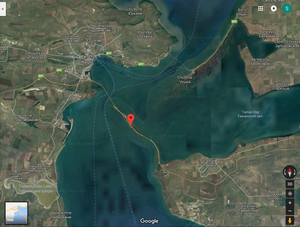 RZ5D plans to operate mobile as RZ5D/6/m on IOTA EU-180 Tuzla Island on August 04 from 0500-0700 UTC, 14.277 SSB. 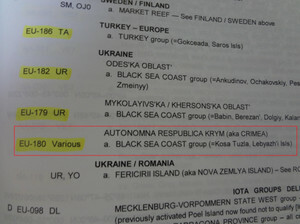 Besides the EU-180 IOTA designator, he may be spotted by Russians as RR-24-05, which is the Russian island designation for Tuzla. He will operate mobile from the mainland after 0700 UTC.